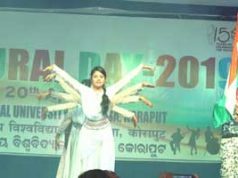 Koraput : Four- days long Annual Sports Meet-2019 of the Central University Orissa started on 24.02.2019 ended with the valedictory programme held on 27.02.2019 at its Sunabeda campus. 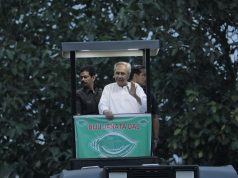 Prof. Sachidananda Mahanty, Vice Chancellor of the University graced the occasion as Chief Guest. Prof. Bhabani Prasad Rath, Dean Students’ Welfare and OSD-Examinations, Prof. Kishore Chandra Raut, Dean-Academics, Prof. Sharat Kumar Palita, Dean-SBCNR, Prof. Asit Kumar Das, Registrar were also present on the dais. 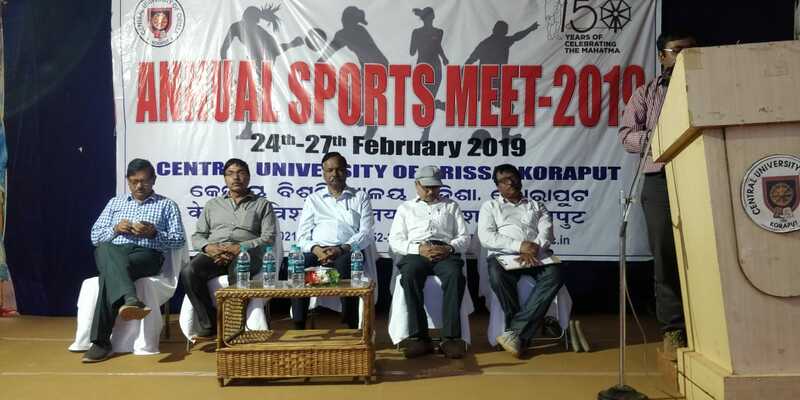 Speaking on the occasion Prof. Mohanty congratulated the University community for successfully organizing the first ever Annual Sports Meet at the University. 27 sporting events were organized where 204 athletes participated. Prof. Mohanty gave away the certificate and prizes to the winners of various events. Prof. Mohanty in his address advised the students to take sports as Sports for nation building. He said “Sports is an integral part of education, we must take sports for nation building. Sports help students to become more disciplined and focused”. He also expressed his concern for the current situation prevailing in the country; “in this grave time and crises we must have to be united and stand firm behind our security forces to protect our country from the external threat. The University community is praying for the safe return of the brave air force pilot captured in Pakistan”, he said. Prof. Mohanty talked about great historical background of sporting events of Olympics, Marathon and other games. He also gave examples of many historic sporting countries like Athens, Greece and Sparta. Prof. Rath in his welcome address thanked and congratulated the University community for organizing the Annual Sports Meet-2019 successfully. In his address he remembered the legendary sports persons and their contribution to the sports world and said “you (students) have created a record by organizing this historic event. May this unity stand like this and many more such events come in future”. Prof. Asit Kumar Das, Registrar in his address encouraged the students for their active participation in the events. He said “it is yours (students) participation and efforts made this event a grand success. Winning or losing doesn’t matter it’s your participation, spirit to enjoy sports and sportsmanship sprit must be saluted”. Prof. Palita in his address thanked the entire University community for their effort and co-operation for making this event successful. He said “there is no other medium then sports to bring channelize the energy of the students. Sports bring universal brotherhood and fraternity among the people”. While giving the vote of theanks, Prof. Raut thanked the Vice-Chancellor, officials, and University community for this successfully events. He specially thanked Sh. 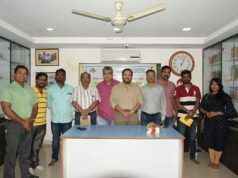 Pradeep Kumar Mohanty, founder Kalinga Sports Foundation, Koraput and his team for their support and co-operation. He also thanked the district administration and District health unit for their support to organize the Annual Sports Meet-2019. Mr. Sourav Gupta, Asst. Professor anchored the valedictory function. From 24th February 2019 to 27th February 2019, 27 sporting events were organized among which 15 events for Boys’ and 12 events for Girls’. A total number of students 204 participants participated in it where 70 volunteers helped to organize the event. The whole sports events were officiated by the members of Kalinga Sports Foundation, Koraput with the help of CUO and District Sports Office. Next articleWas it Sheer Ignorance or Absolute Apathy ?